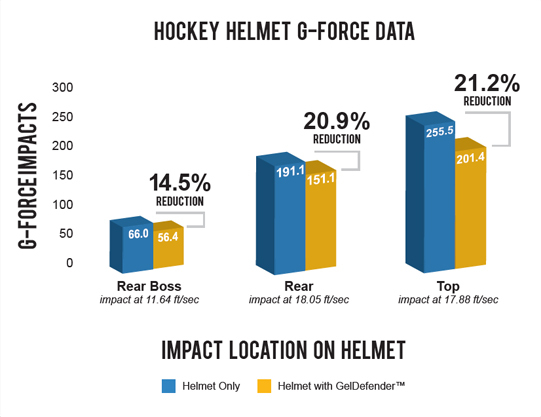 Reducing g forces from impacts and keeping players cooler are the two primary reasons we developed GelDefender® skull caps. 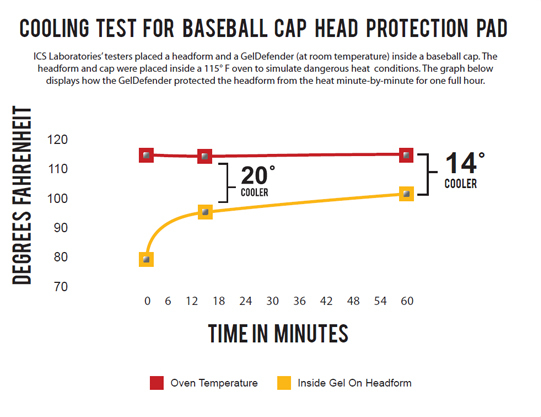 That’s why we put GelDefender® skull caps through rigorous impact and thermal tests. 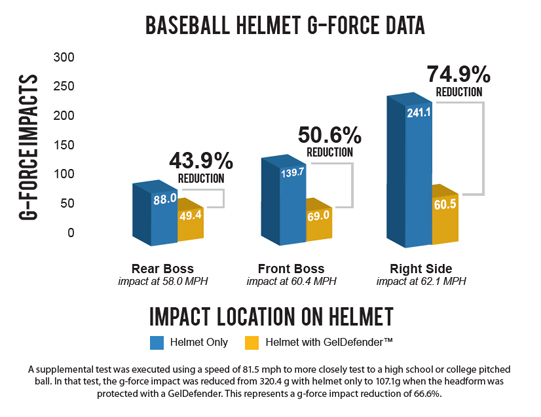 Researchers at ICS Laboratories in Brunswick, OH, tested GelDefender® skull caps in football, baseball, softball, ice hockey and skateboard/bicycle helmets; in military ACH helmets and industrial hard hats; and independent of helmets. 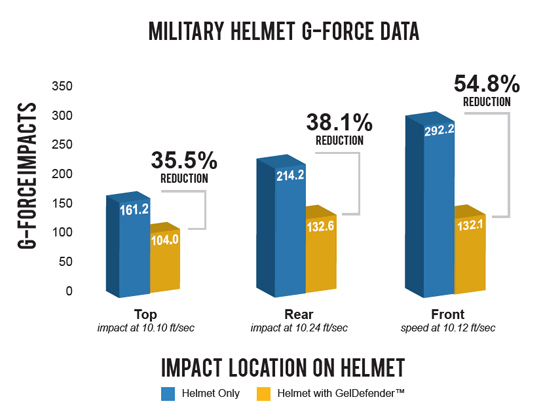 *Test helmets were new, unused helmets made by major manufacturers. 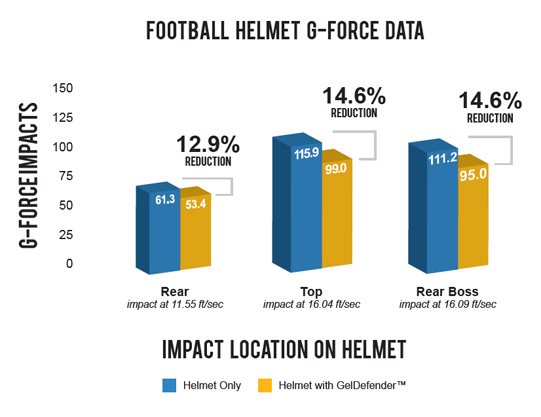 Scientists have no conclusive evidence as to whether or how the reduction of g forces during impacts reduces the number or degree of concussions and head injuries. 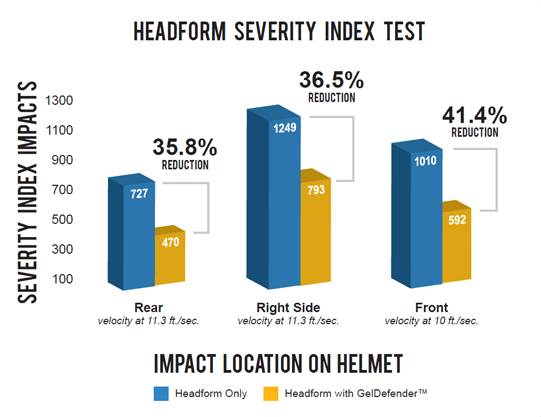 Participants in activities in which head impacts can occur should always use tested and approved helmets for protection. 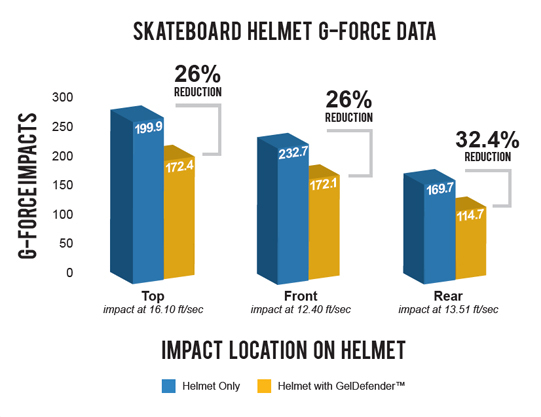 However, no helmet or extra padding can protect the user from all serious head or neck injuries that can result from impacts. 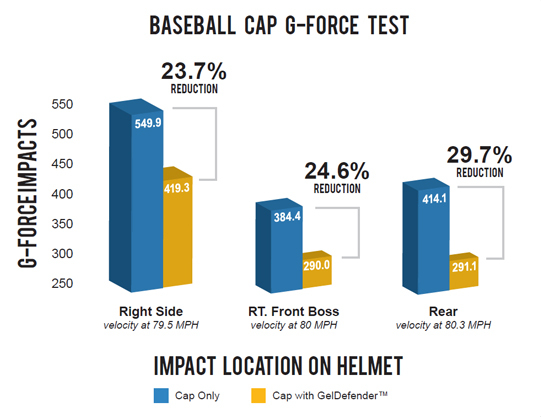 Testers at ICS Laboratories began by collecting baseline measurements using helmets worn in various activities. 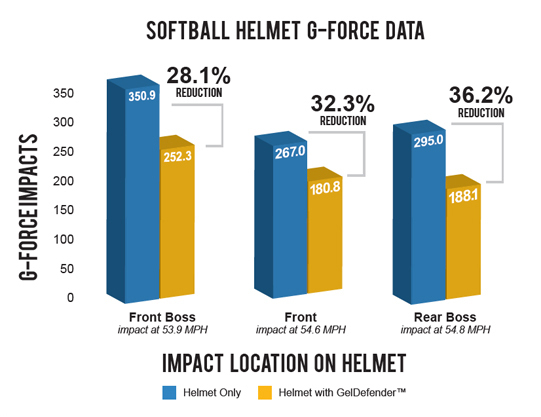 These helmets were placed—without GelDefender® pads—on headforms attached to devices that record impact data. 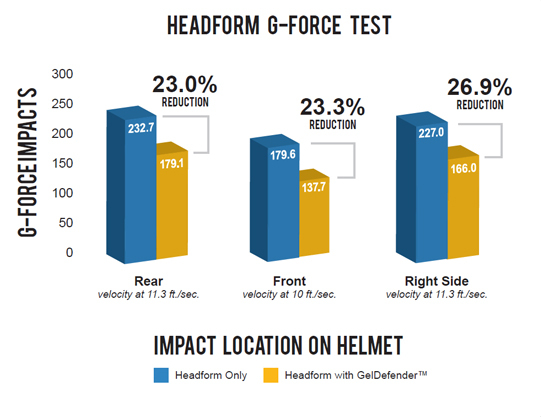 The headforms, a substitute for human heads in tests, were placed inside the helmets and dropped from various heights to strike at various locations on the helmets. 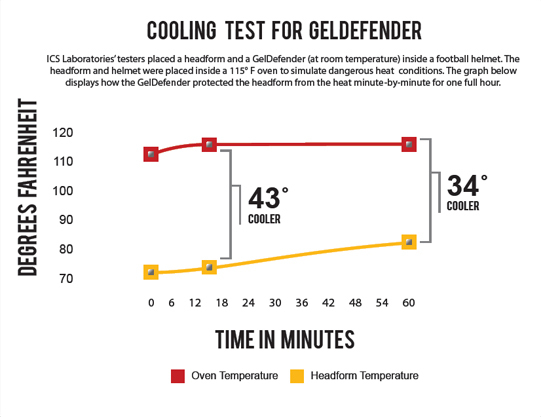 Then, the tests were repeated after adding GelDefender® skull caps to the headforms, and the results “with” the GelDefender® products were compared to the results “without” the Gel Defender products. GelDefender® skull caps reduced g-forces impacting the headforms by 12%-74%, depending on helmet type and impact location. ICS Laboratories, Inc. was established in 1995 to provide testing and conformity assessment services for personal protective equipment and related devices. 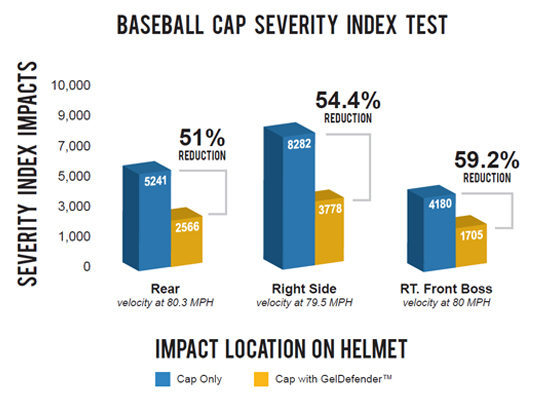 ICS Laboratories is the leading independent laboratory in North America and one of the foremost in the world for testing and conformity assessment of personal protective equipment. 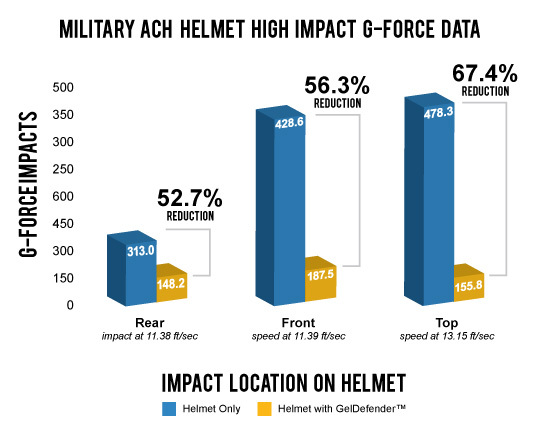 ICS Laboratories provides specialized testing of protective equipment for helmet/head protection, eye and face protection, respiratory protection and biological and chemical protective clothing, including but not limited to ballistics and mechanical impact and environmental (solar, temperature, humidity) simulation.